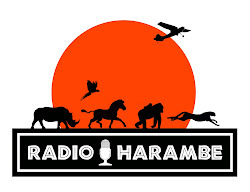 It's time for another episode of Radio Harambe, and this one is all about the listeners. We talk about the news from Disney's Animal Kingdom and the rest of Walt Disney World. And then we answer our first set of Listener Questions, sent in earlier this week by you guys. Harambe Nights Coming to Disney's Animal Kingdom? Happy Birthday Disney's Animal Kingdom!